Hi, My name is Rachel and I never went to cooking school but learned in the school of my mother's kitchen. 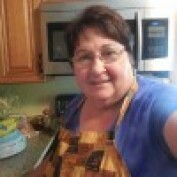 My grandmother and sisters and mother-in-law were also influential to my cooking. I became interested in cookin at an early age, about 8 years old. My mother showed me a recipe of how to make Deviled Eggs. Ever since then I knew that I would love to cook. My hobby is to collect recipes and I have a ton of them. I also have what I call "the recipe of the week". I choose a recipe and make it and have my family rate it. 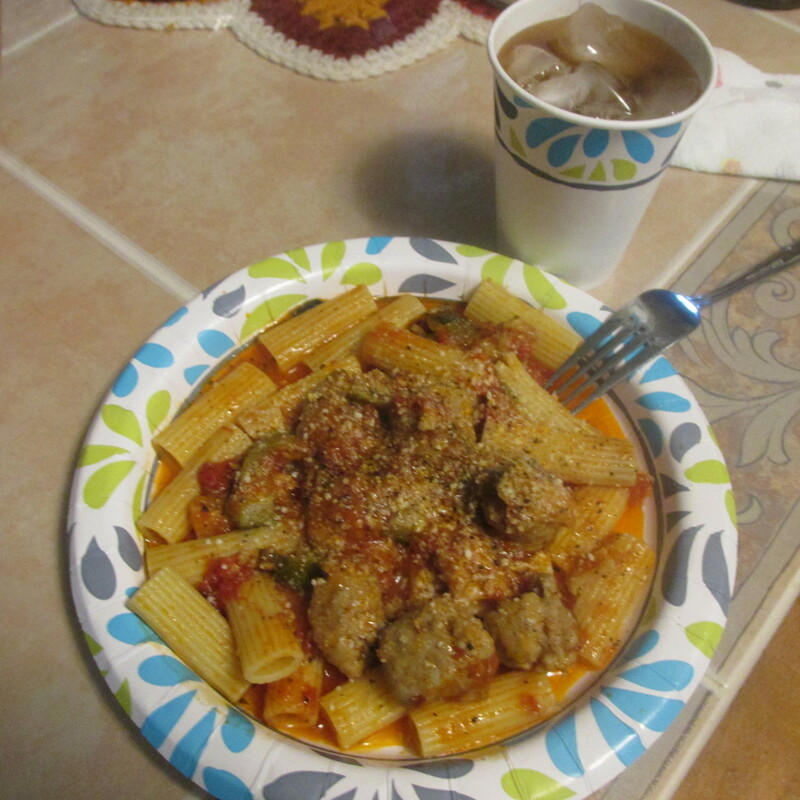 I grew up Italian so I learned how to cook Italian but also other dishes interest me. I would like to show anyone that think they can't cook, that they can. Do you find that you need to cook for yourself or for someone else and never did? Well, I will show you that it isn't hard at all and according to the old saying, "if you can read, you can cook". "Where Have All The Flowers Gone"
I always loved this song by Peter, Paul and Mary. I thought of it as my summer flowers started to fade away. That brought something else to my mind. Cheesy, crunchy, saucy, spicy, any way you like it, it's a delicious food that nearly everyone loves. Not just Italians. This cake is so light and moist, you simply can't get enough of it. Easy to make and a hit with whoever you are serving it to. A juicy steak, mushrooms, and a delicious layered peanut butter dessert. What can sound more appetizing than that? It's one that men, women, and even children will enjoy. This Easter pizza is like a deep dish pie. 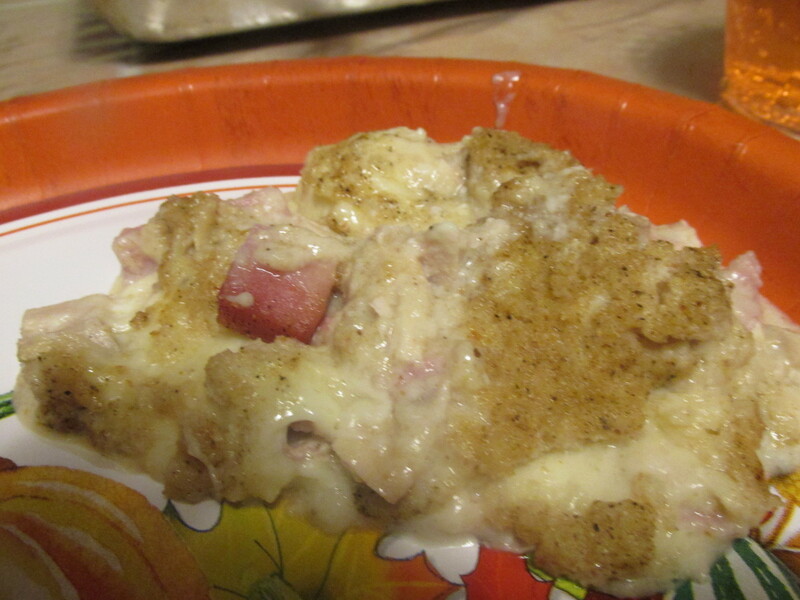 Loaded with different cheeses and chunks of ham with a crust on top and bottom. A very Italian dish for the Easter season. 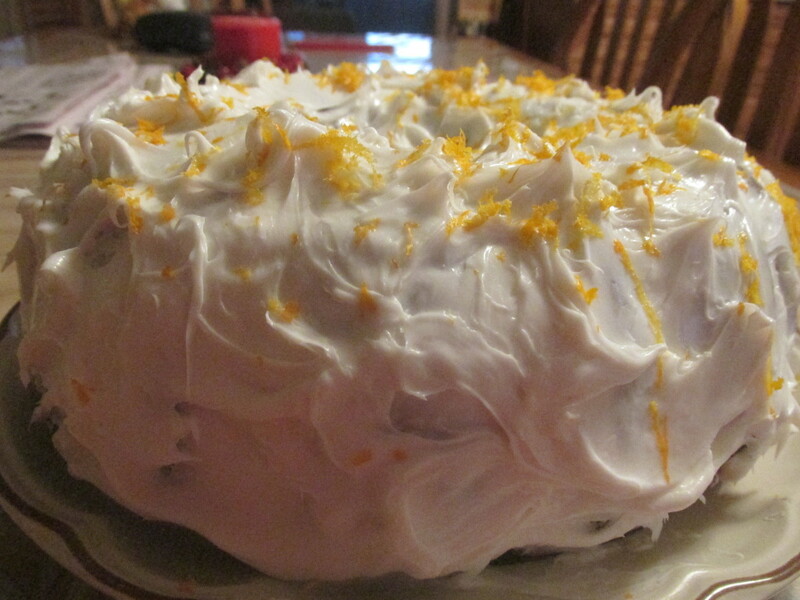 This cake recipe is very moist and has just a touch of orange flavor in it. These little potato dumplings are light and soft and can be served with almost any sauce you enjoy: Tomato sauce, as shown, a buttery sauce, or even pesto sauce. 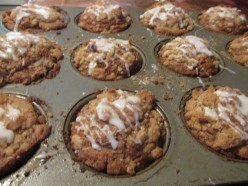 These moist and delicious muffins are low fat, low carb, and sugar free. Give them a try, and you will be delighted! 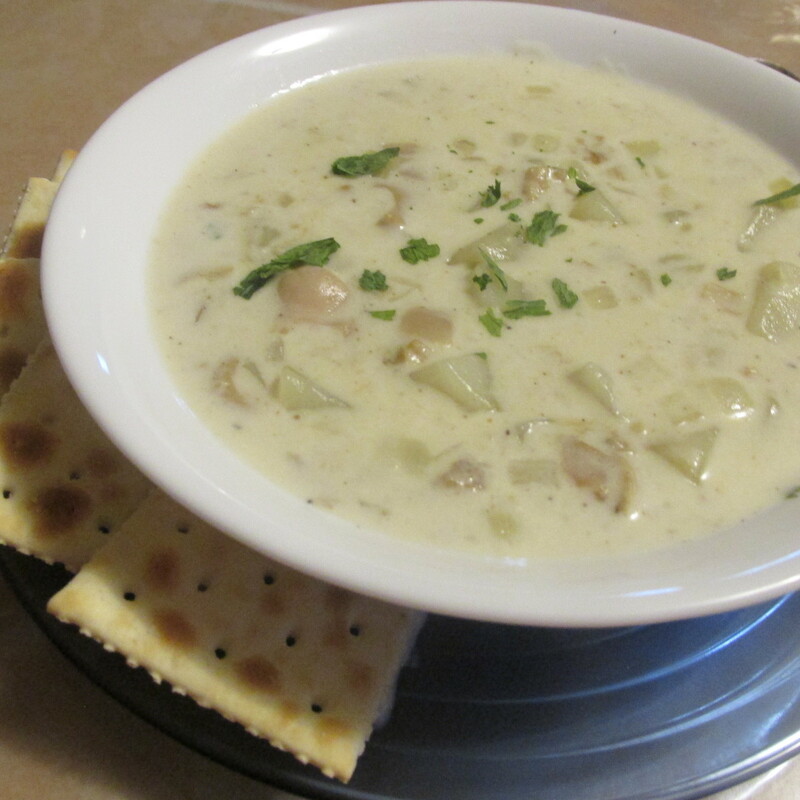 Super creamy, decadent, and easy to make, this chowder is a hit with everyone who tries it. It's especially great on a cold day, but it can also be enjoyed any time of year. 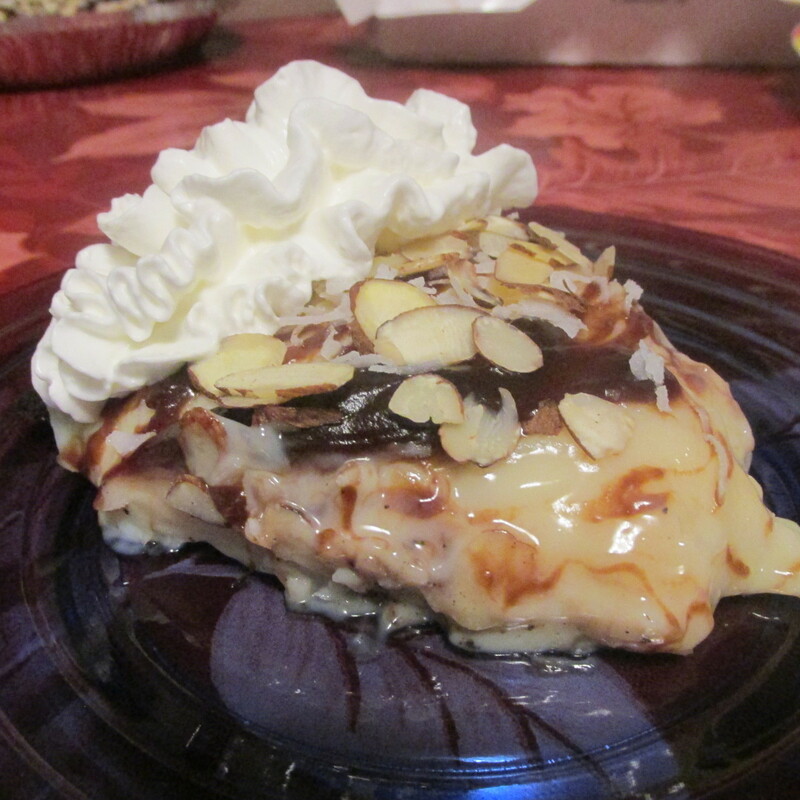 If you like Almond Joy candy bars, you will love this pie. It's creamy, a little chocolatey, and the coconut is chewy and tasty. 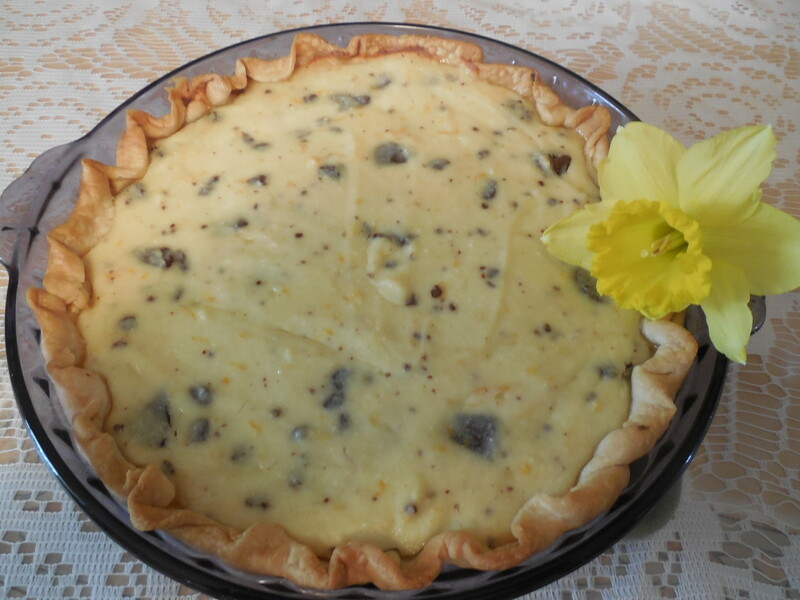 The almond slices on top add to the overall deliciousness of this pie. 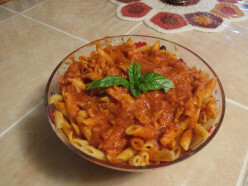 Sauce made with fresh tomatoes has a unique flavor and the sweetness of the tomatoes grown in your own or someone else's yard can't be beat. 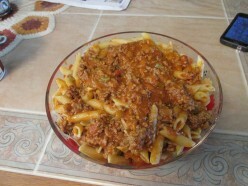 Add what ever other vegetable and or meat you like and you have a healthy and tasty sauce for your pasta. 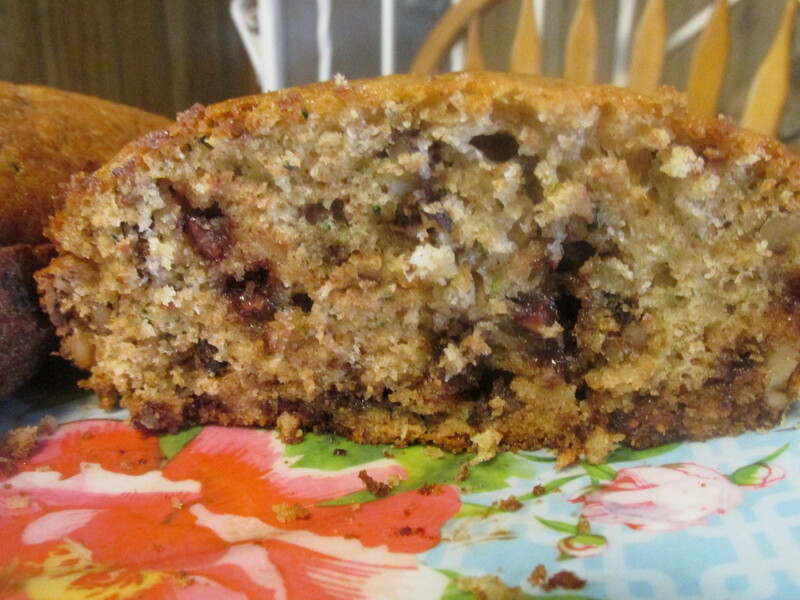 This cake is so moist and easy to make and a great way to use up some of your zucchini. Chocolatey, decadent, and so easy to make. The taste of the cherries put it over the top. 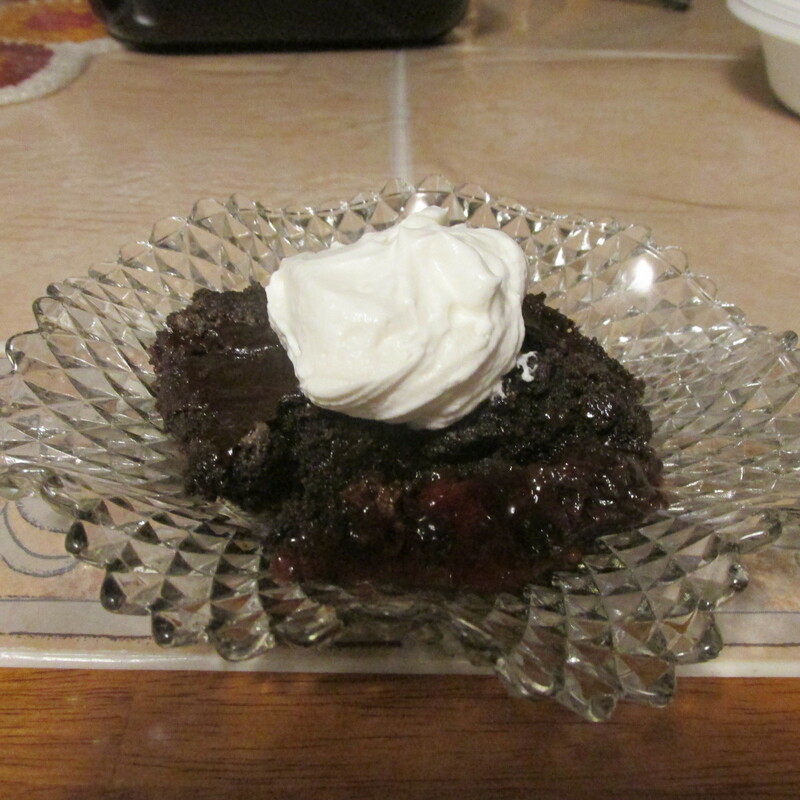 The hot fudge sauce gives this a fudgy consistency, and the homemade cream is like a cloud of goodness on top. 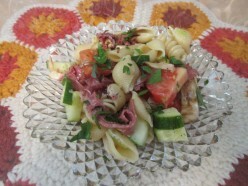 Looking for a low carb side dish? This fits the bill. 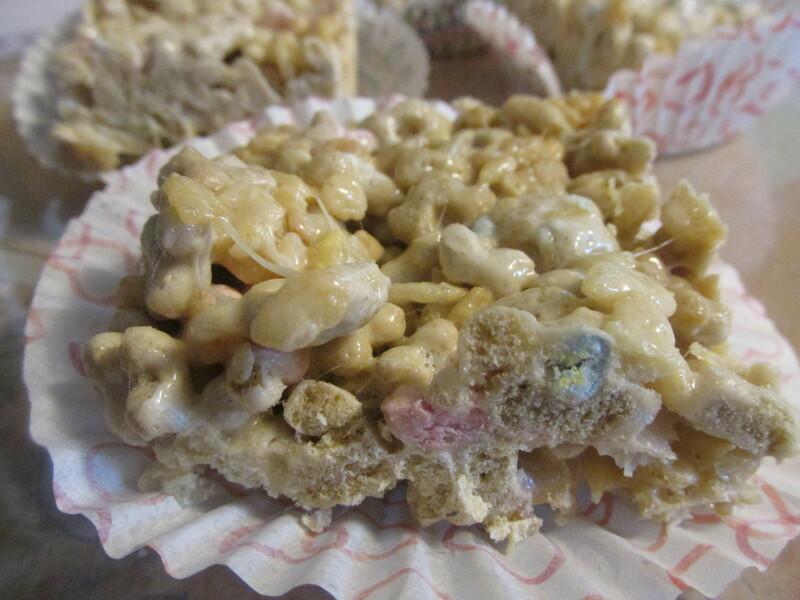 Only five ingredients and all have low or no carbohydrates. 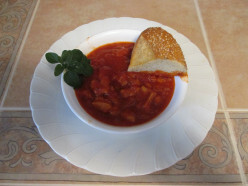 Want something hot and hearty for these cold winter days? 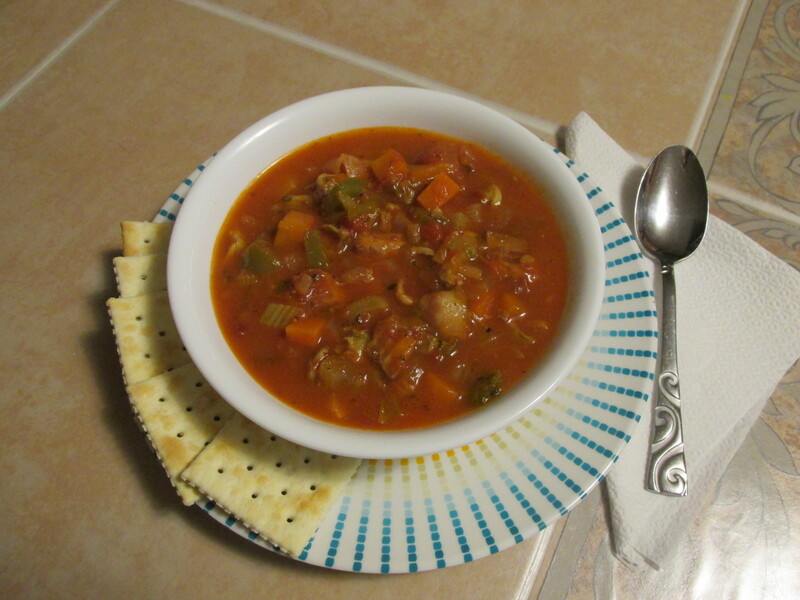 Try this Manhattan clam chowder. It's bursting with flavor and thick enough that you don't need anything except some saltine crackers. My family rated this frosting as "excellent." It's so light and fluffy and goes with any flavor of cake you like. Also very easy to make. 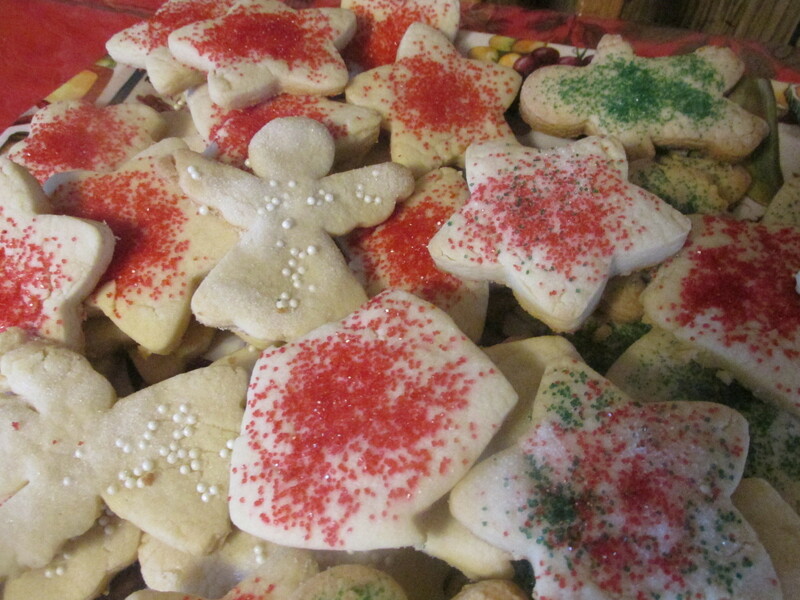 These pretty and buttery cookies are thick and soft. 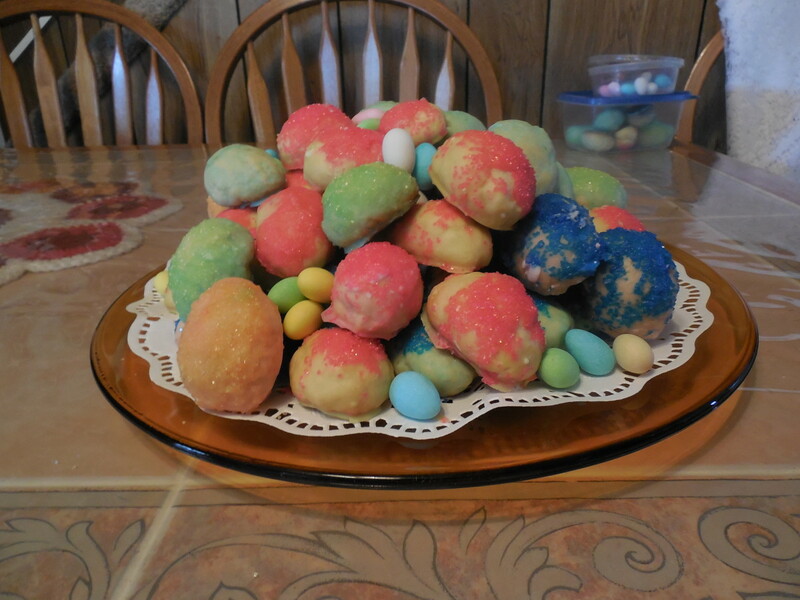 Top with colored sugar or what ever you want to decorate them with. They will be delicious and popular with your friends and family. 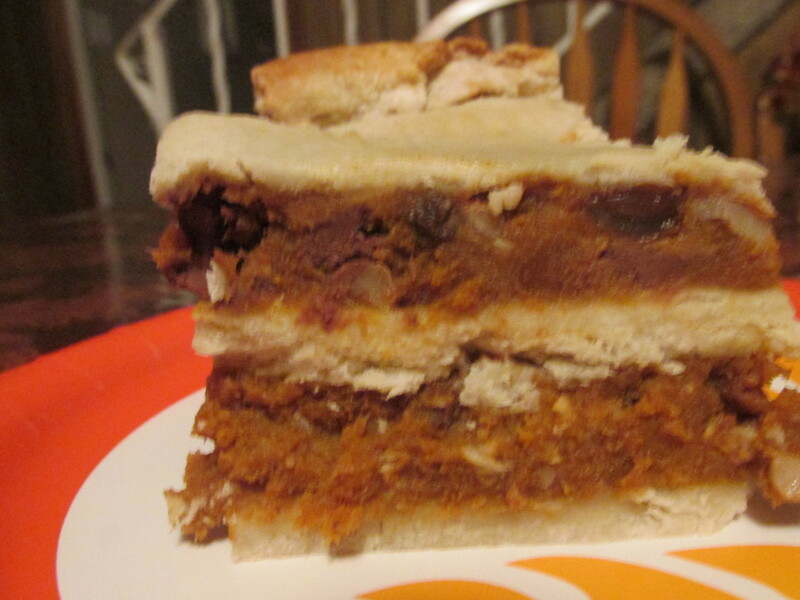 A delicious way to use up some of your leftover turkey. 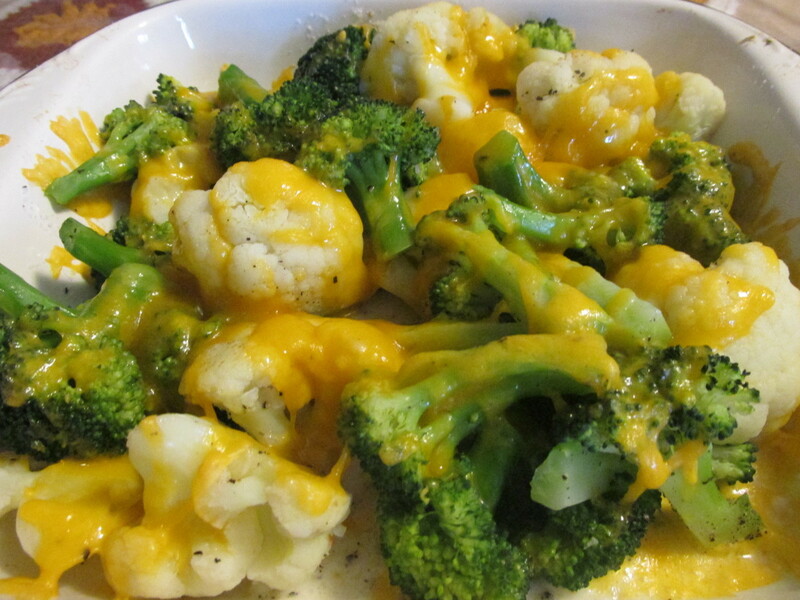 Creamy, cheesy, and easy to make. If you want something that's easy to make and a perfect fall dessert, this is the recipe to try. It's so good that you'll have a hard time eating just one piece. This could be an appetizer if made with smaller mushrooms or a main meal with the large mushrooms caps. Either way, this is a delicious way to get all your protein in and have less carbohydrates. 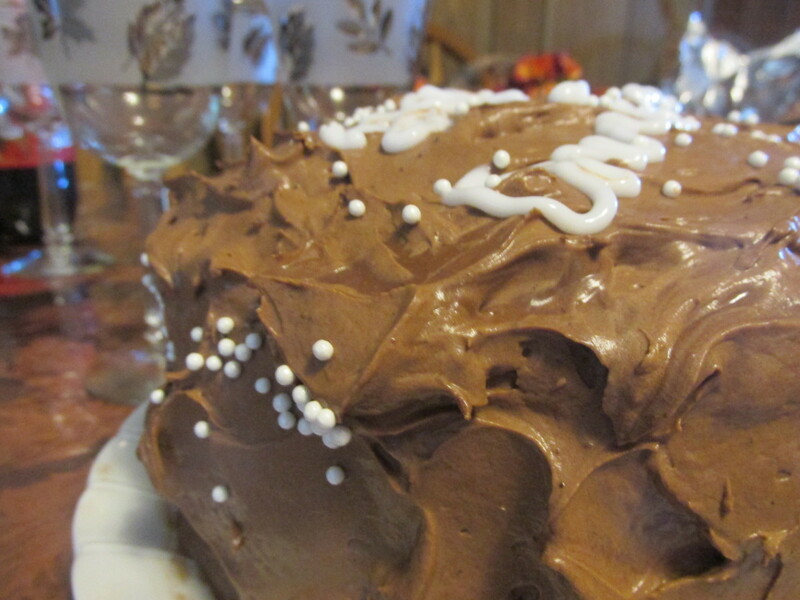 A very moist and decadent chocolate cake with a mousse frosting that melts in your mouth. 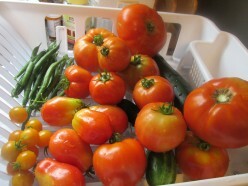 Here are a few ideas of what to do when your vegetables are piling up. A sweet bread that's just right for any time with the decadent taste of chocolate. Italian Mac and Cheese is creamy, cheesy, and a little different then the usual Mac and Cheese. 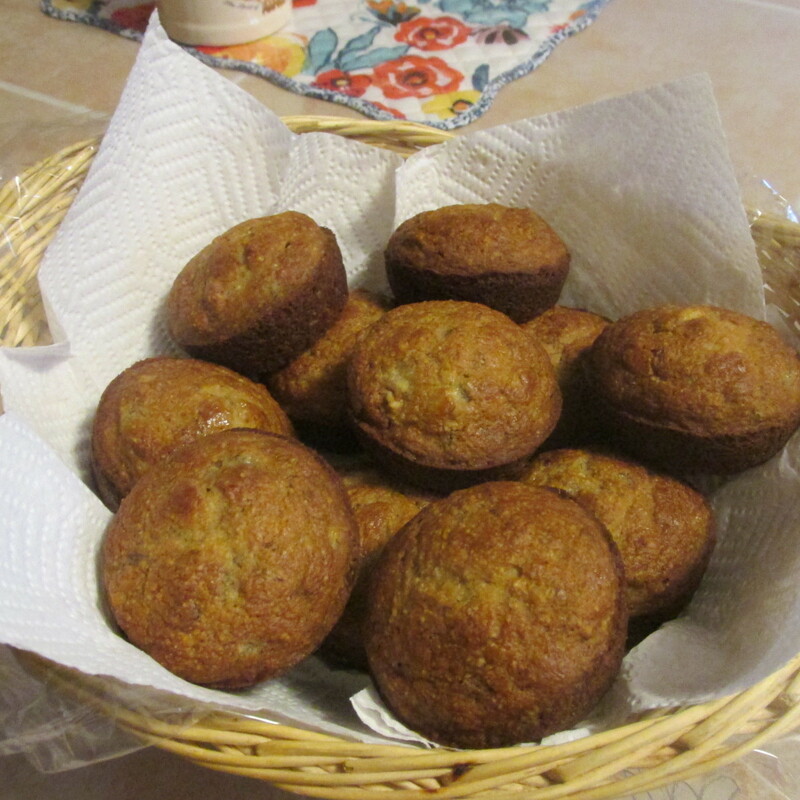 These muffins are so tasty, moist, and light. They're perfect for afternoon coffee or tea, breakfast, or after school. This is an "adult version" of a trifle, using strawberry-infused vodka. 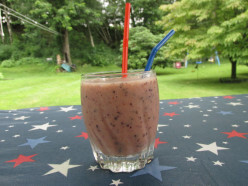 It's still light, refreshing, and great for those hot Summer days. Lemon lush is one of those desserts whose title describes it. 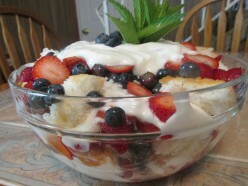 "Lush" for luscious is a perfect adjective for this dessert. 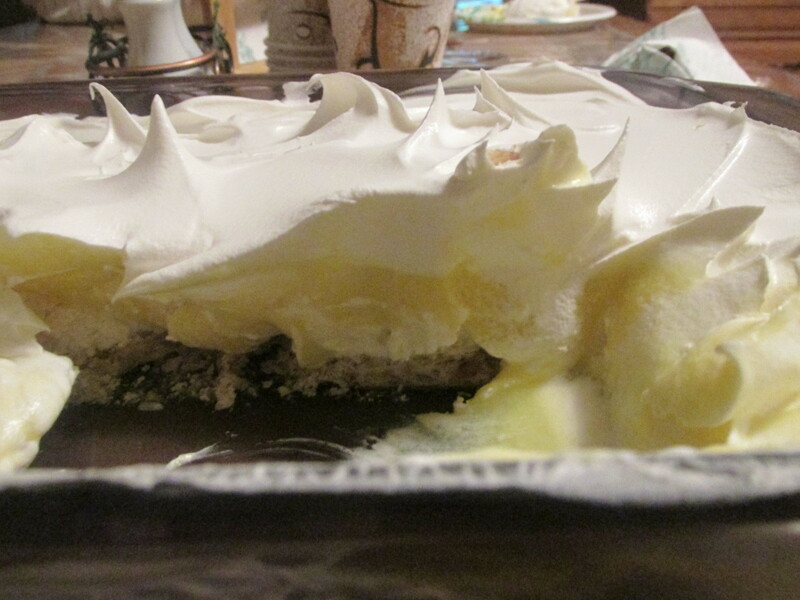 Part lemon curd, part meringue, all creamy, lemony, and totally delicious. 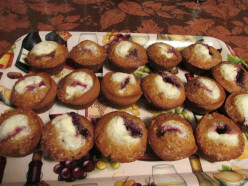 These muffins are good for any time of the day or evening. Moist and light and so tasty. These squares are crispy little cereal treats that your children will love, after school or whenever. 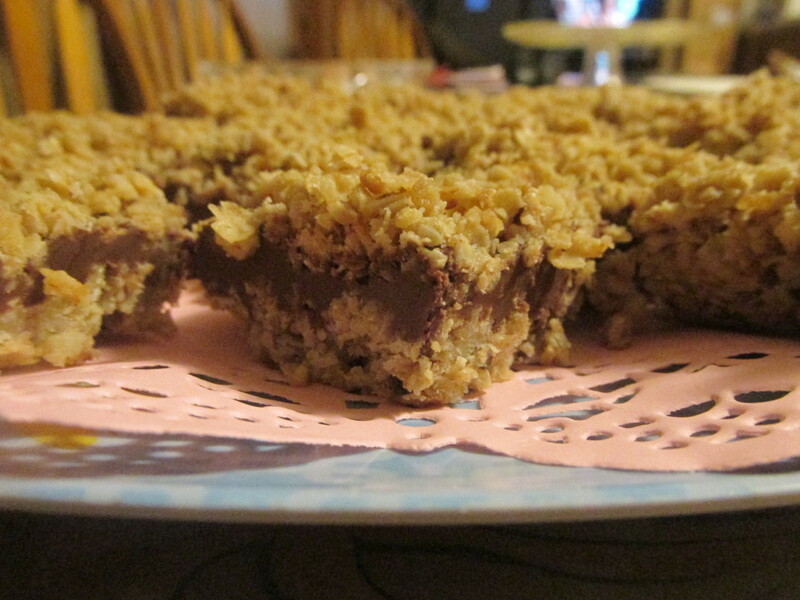 Try these crunchy and chocolaty peanut butter oatmeal bars. A great little after-school snack or for whenever. 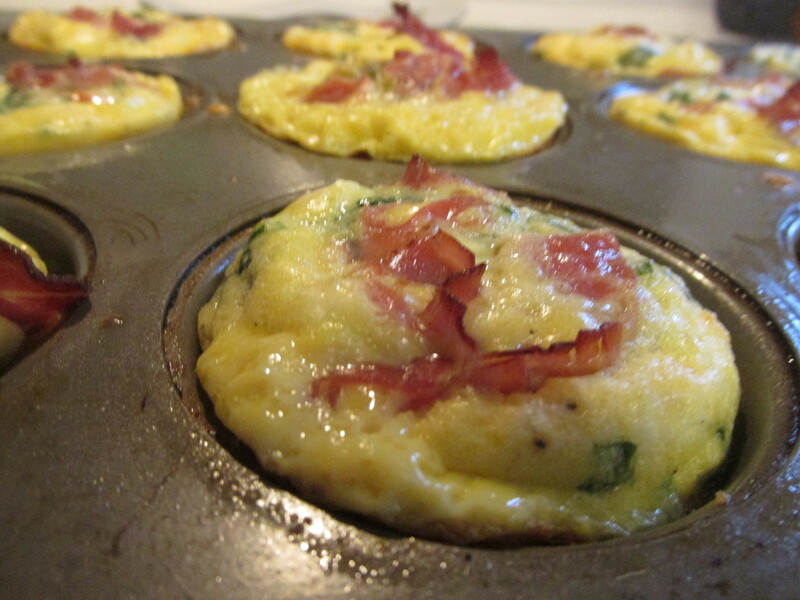 These breakfast muffins are so tasty and creamy, you can eat them anytime you want. 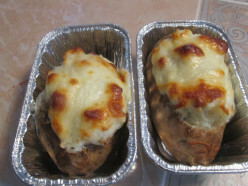 Make them ahead of time and heat them in the microwave and they are good to go even early in the morning. A quick and tasty dish for the whole family or just for two. 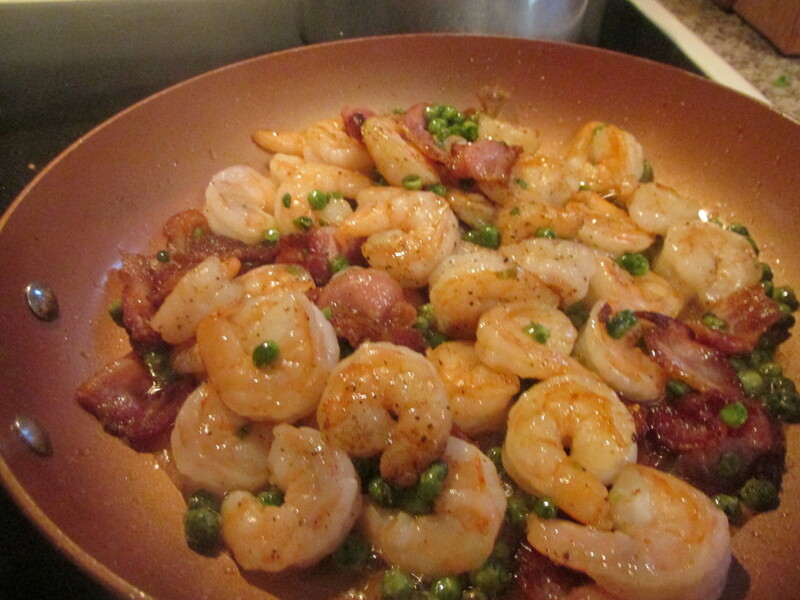 A dish loaded with flavor: the bite of the shrimp and crunch of bacon make this a great dish for this fall season. 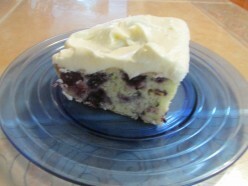 Have left over zucchini and some blueberries, try making this cake. It's so delicious and great for company. 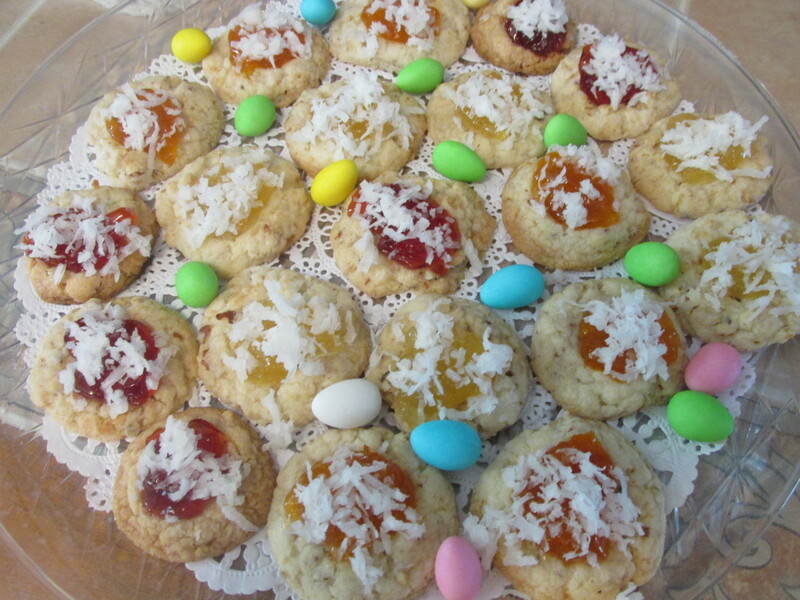 If you like coconut, jam, and almonds, you will love these cookies. They are crunchy, sweet, and decadent. So pretty, so light and perfect for a summer cake. 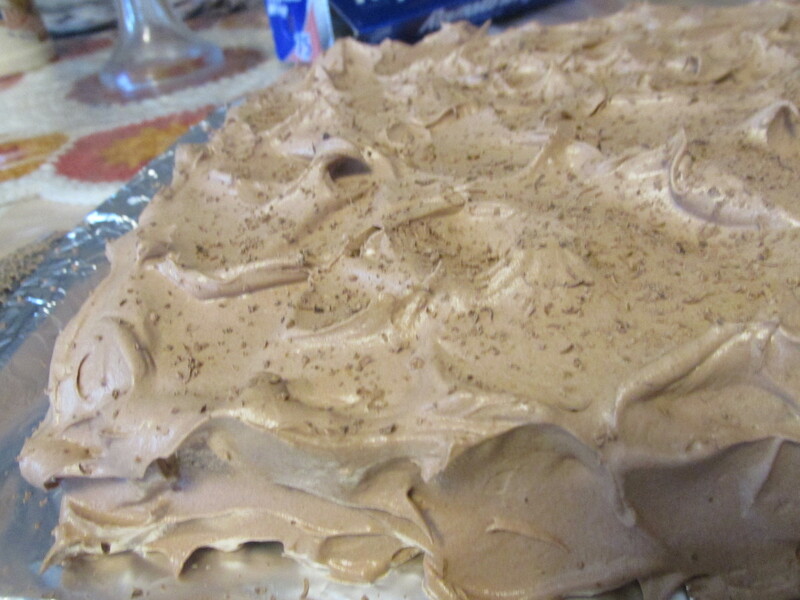 It's sweetness is just right and actually a decadent dessert for company or family. A crunchy and slightly salty little appetizer; zucchini flowers are so delicious. I'll show you how to pick them and cook them. Zucchini with pasta is great also. I nice little cupcake for the summer. 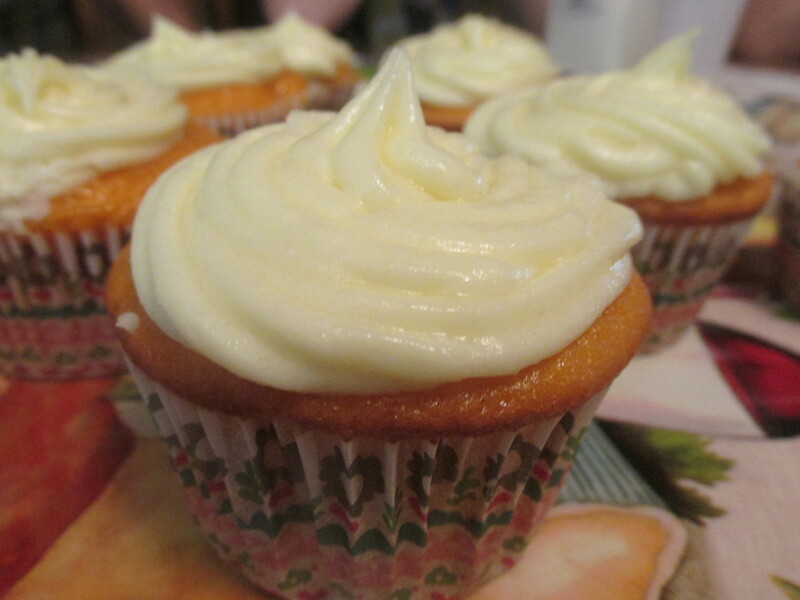 They are so moist and the icing is tart and sweet at the same time. 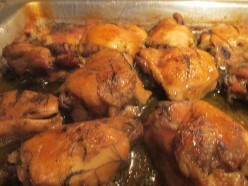 This chicken not only smells and looks delicious, but it is so flavorful that you can't stop eating it. Crispy, juicy and bursts of all of the flavors in your mouth. Light and easy and quick to make. 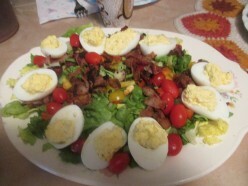 Just right for a low carb diet. 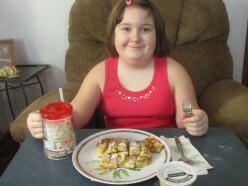 My granddaughter enjoying her Valentine breakfast. Should it be healthy? 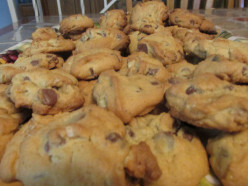 If you like soft chocolate chip cookies, you will love these. They stay soft for as long as they last in your house. In my house the kids and adults both loved them. 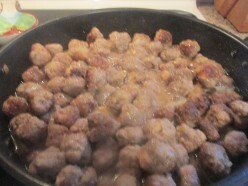 Soft, little delicious meat balls in a gravy that is just great for one of those dishes for company on Christmas Eve or any other event where you need something for a crowd. 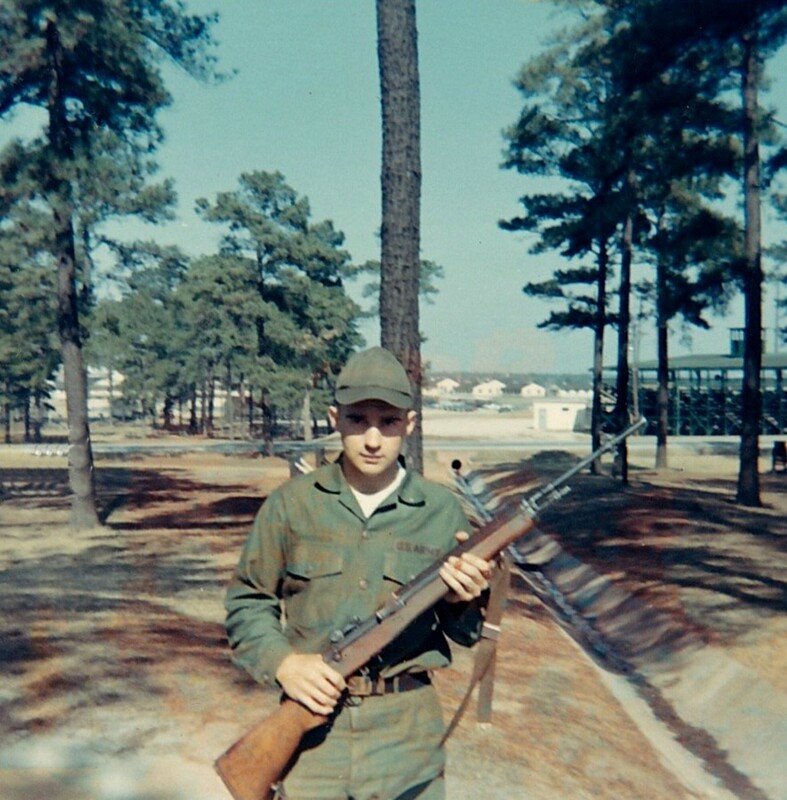 I love Thanksgiving, but it always brings back the memory of the 60's and how so many of our boys were sent to Vietnam. This is the story of my brother. 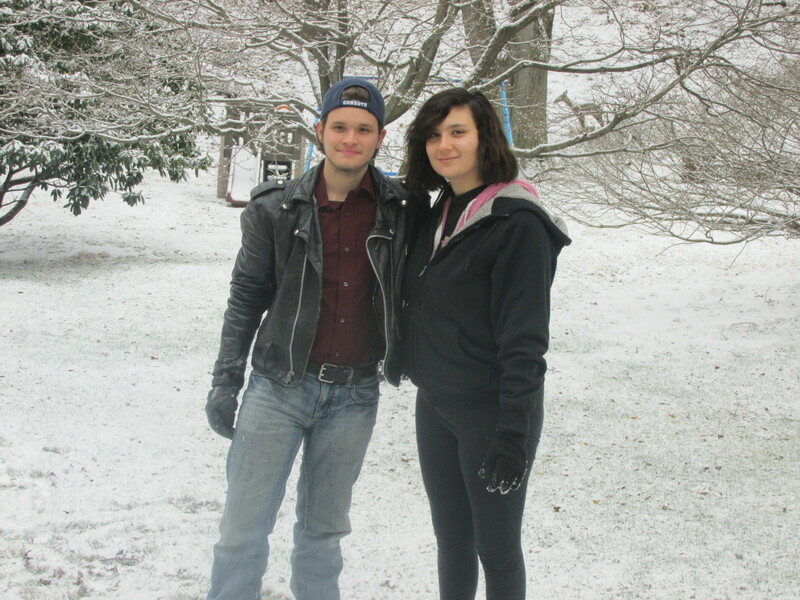 My older and loved brother. My only brother! If you like very moist coffee cakes that are sweet and delicious and good for any time of the day, you will love this recipe. 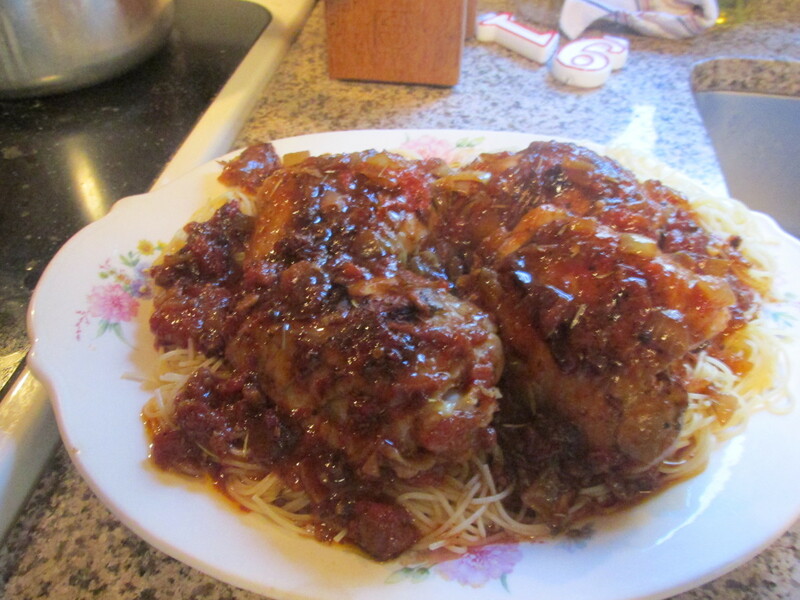 A classic dish for Italian style chicken. Easy to make and full of flavor and so good on one of those colder evenings. Also great for a Sunday evening dinner with the family. 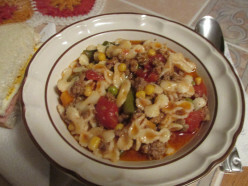 This is a dish that is a hit with all you beef movers; even children love. It's full of flavor and moist and easy to make. 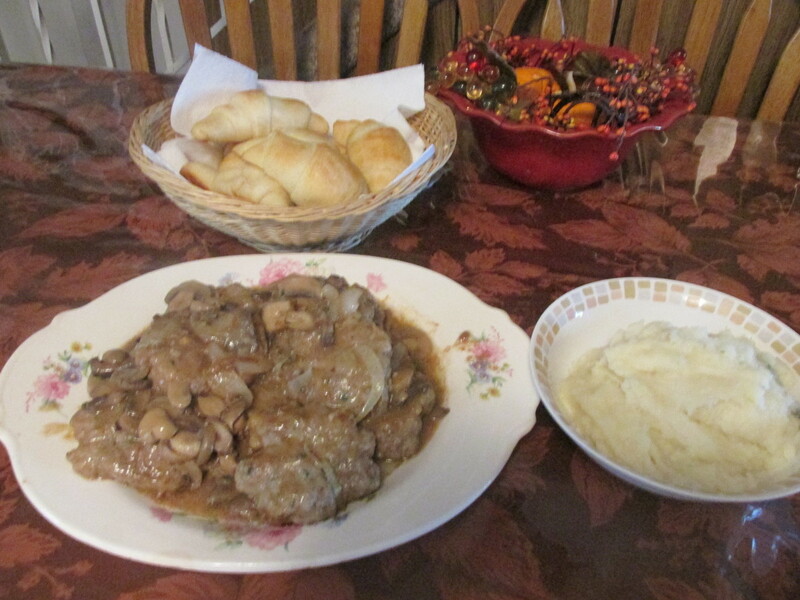 A great dish for this cooler fall season. Breadcrumbs! Do You Make Your Own? 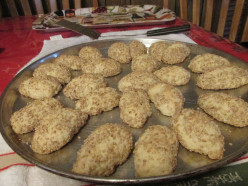 If you cook, you will eventually need breadcrumbs. Making your own is a frugal way to use up all those ends of breads. 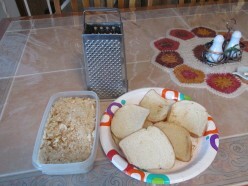 Box Graters are great for bread crumbs, cheese and vegetables. A little crunchy at first, then sweet and so light and delicious in your mouth. 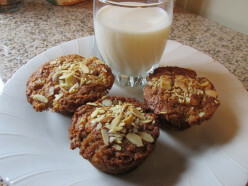 These muffins are great for breakfast or just with a quick cup of coffee or a glass of milk for after school snack. 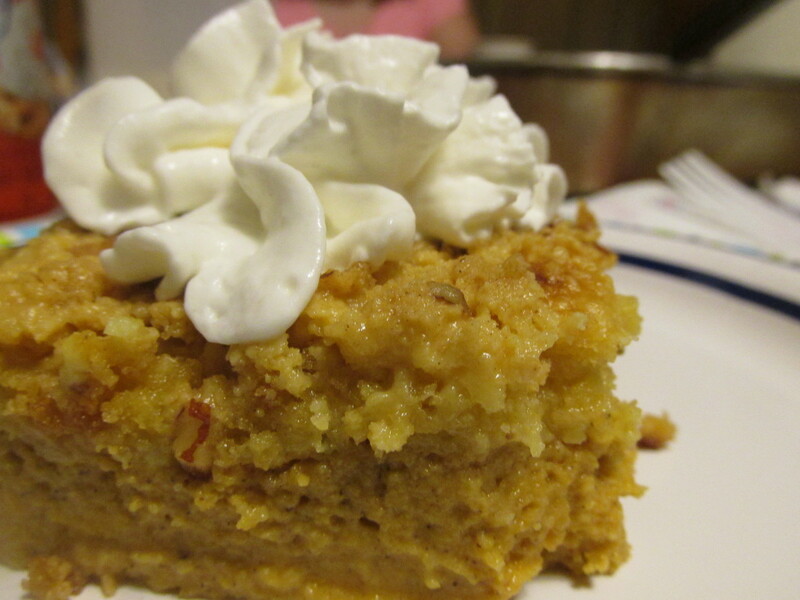 Pumpkin lovers wait for the Fall season to enjoy their pumpkin favorites. 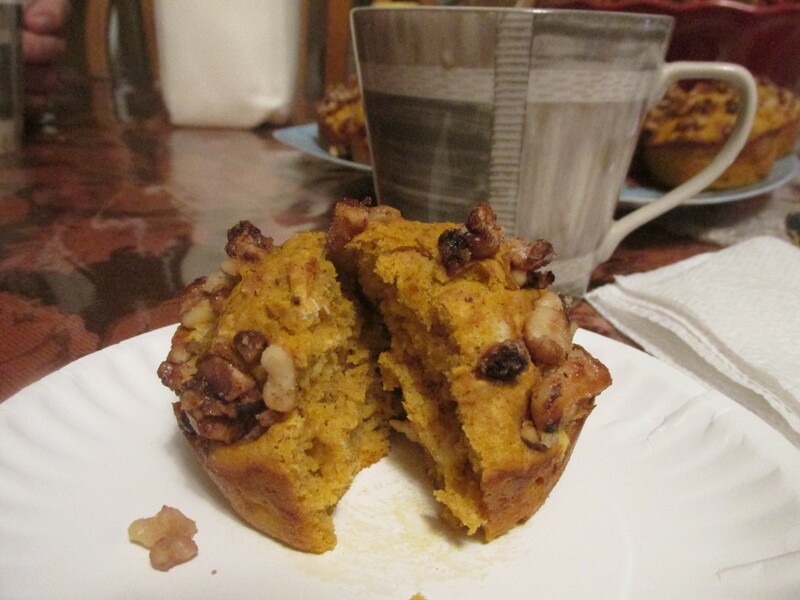 Two my mine are pumpkin pancakes and pumpkin bread. These recipes are super easy and Oh So Good! This is a simple dessert with a custard like creamy center and bananas that is actually decadent. 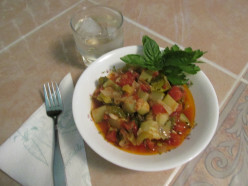 It's a favorite of my family and is among an Italian family's recipes. A dessert that is a surprise to anyone. 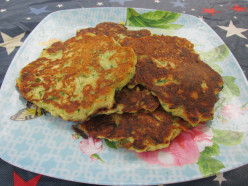 Sweet, delicious and could be considered healthy because it's made with zucchini. That's the surprise. You could fool anyone into thinking it's apple. 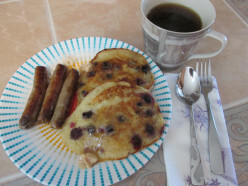 So moist and popping with taste as the blueberries burst in your mouth; these pancakes top any I have ever made. Butter infused with cinnamon and vanilla is a delicious topping. A great breakfast. Not your typical chicken wing flavor but just as good. 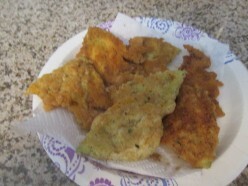 They are bursting with flavor added with fried egg plant, salad with blue cheese dressing and cole slaw. Light and easy and delicious. A lot of different tastes for your palate. You eat with your eyes and this dish proves it. A colorful array of foods and great for the summer. Want something you can eat for breakfast or just an afternoon snack? 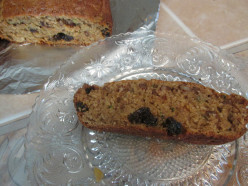 Try this zucchini bread. It's sweet but not too sweet with different textures and delicious. Cool and smooth and sweet and maybe even not so sweet. There's nothing like a cool drink in those really hot days. 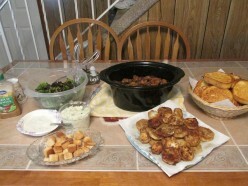 A tasty and great side dish and goes great with any back yard bar-b-cue. Eat them hot or at room temperature, a little like an hand held frittata. This zucchini stew recipe is packed with flavor and so full of all things good for you. 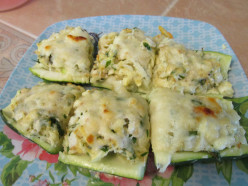 Soft and savory with just a little crunch and melted cheese to top it. I'm talking about zucchini, stuffed. Grown in your own yard or bought at a market, it's a great side dish. 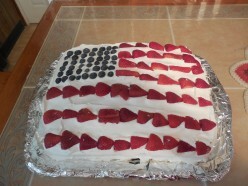 So simple and so pretty and patriotic. 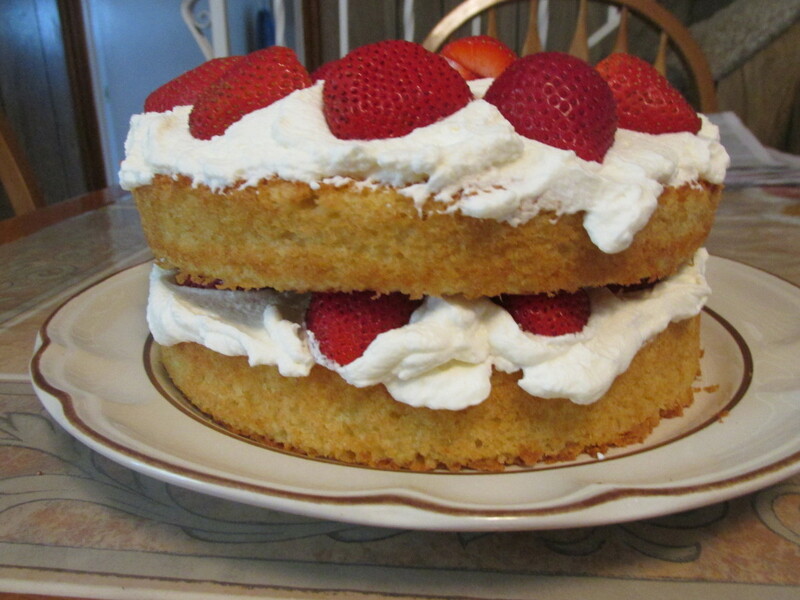 A delicious cake light as a cloud and with all the berries, nutritious too. Light and juicy and oh so good. 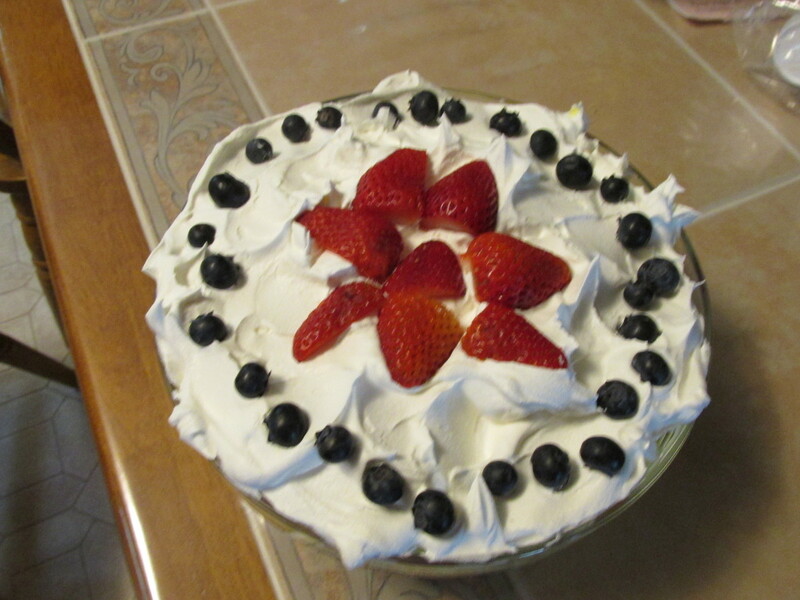 Nothing beats a great trifle, especially in the summer time. Imagine biting into something, cheesy, saucy, meaty and spicy surrounded with a crust. 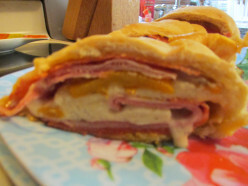 That's Stromboli! 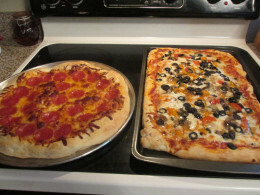 It's sold in almost any Italian restaurant or pizzeria but now you can make it yourself. 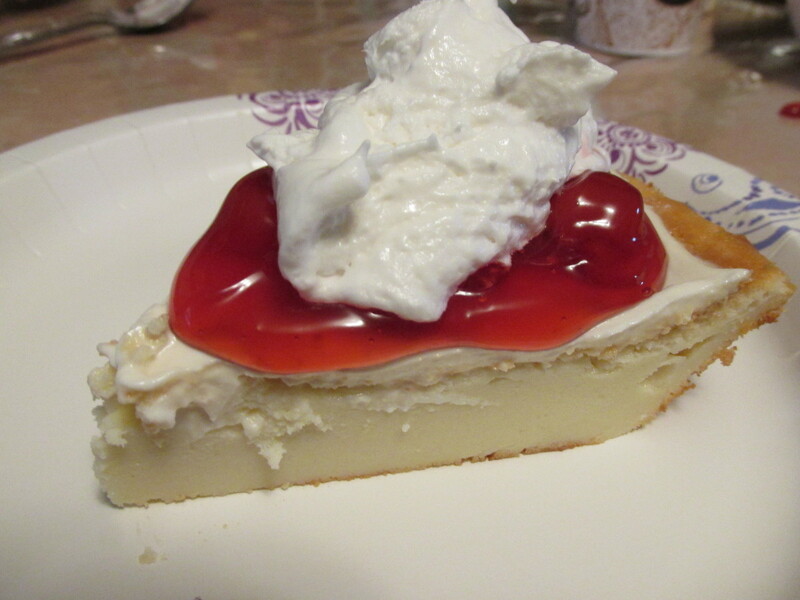 This is a great little pie that is so creamy and a little bit different since it makes it's own crust. It was a big hit for a little get together I had a month ago. 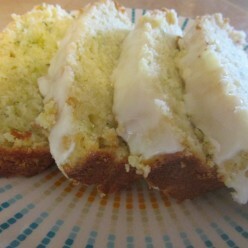 Moist and creamy, an all around delicious cake. 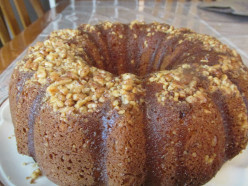 You don't have to worry about the alcohol in the rum because it cooks out, even in the glaze. I do believe adults will appreciate this more then kids. A great meal for warm or busy days or any day actually. You hear more about fish these days and Tilapia is becoming very popular paired with grilled veggies and you have a delicious healthy meal. 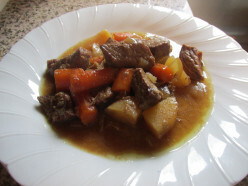 Stew is a good hearty meal for any day of the week. 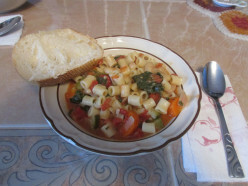 Sop up the gravy and juices with a nice piece of Italian or French bread. 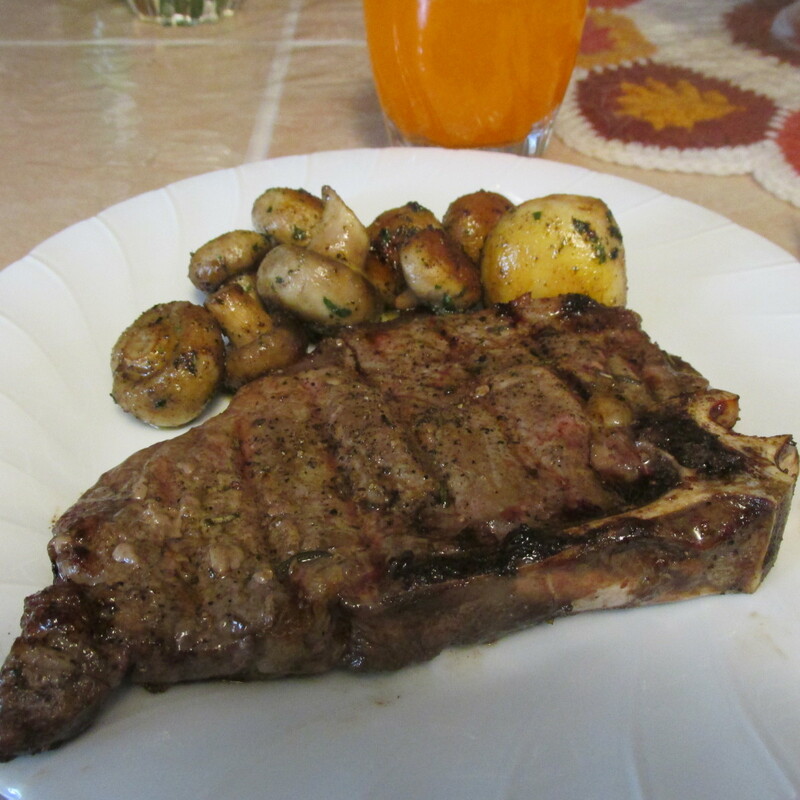 A good way to get your meat and vegetables all in one meal. 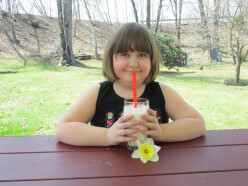 Who doesn't like a milk shake. A cool, thick and creamy delight for anyone at any age. 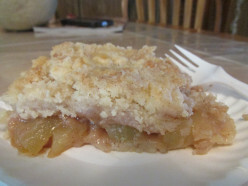 Bite into a sweet, moist, nutty slice of goodness with a hint of applesauce. Morning, noon or night, it's good anytime. 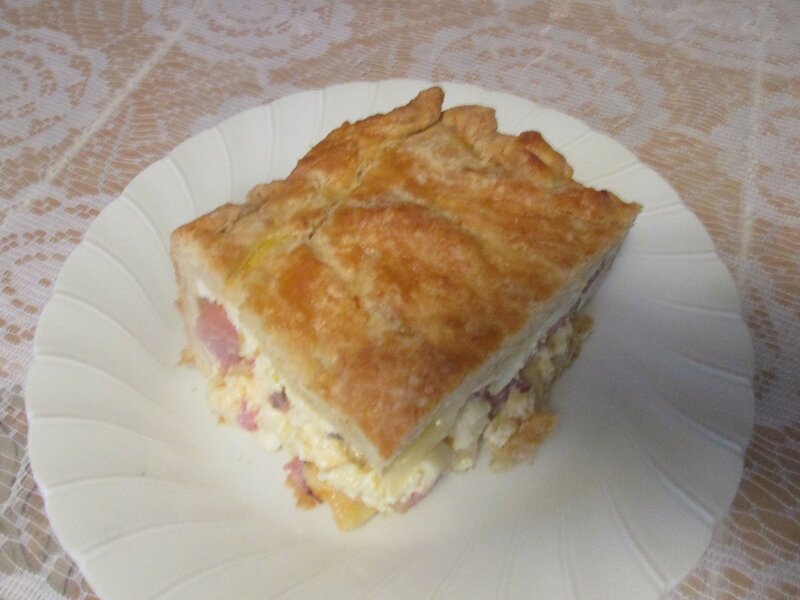 Simply delicious, very moist and perfect for breakfast with a glass of milk for the children or coffee or tea for the adults. Bananas and almonds provide a number of health benefits, mentioned below. These little puffy pillows are actually dumplings. 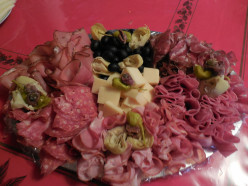 In the Italian cuisine they are very popular. 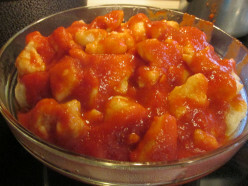 Light and fluffy, with your favorite sauce, children and adults both enjoy them. 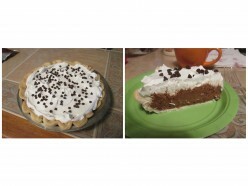 Bite into a rich, creamy pie with little bits of chocolate. This is really good with hot mocha latte, or regular coffee if you don't like fancy coffees. Almost everybody loves soup. 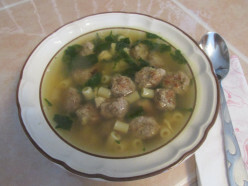 Even children will love this soup with the little tasty meat balls in it. 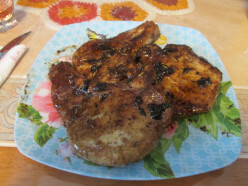 A great pork chop recipe for anytime, even in the middle of the week. Easy to make, delicious and not a lot of fuss. The Balsamic adds great flavor. Bite into a creamy, cheesy potato with just a little bit of crunch from the pancetta. It's elegant and easy to make. Light and refreshing says it all for this cake. It's my husband's favorite, so I make it every year for his birthday. 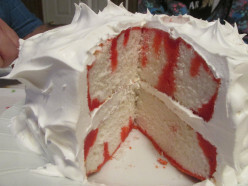 You bite into a mouth full of a moist and creamy and flavorful cake. This is a very nice recipe and quick to make. 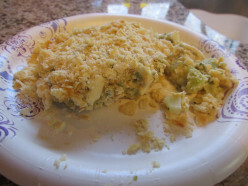 It's creamy and crunchy and it's a good way to get the children eat their veggies. So many delicious flavors in your mouth at the same time. How good is that? Also hot enough to warm you up from the inside out. 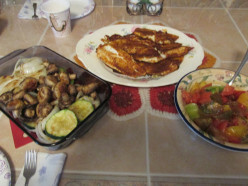 A great one dish meal to give you family at the end of the day. 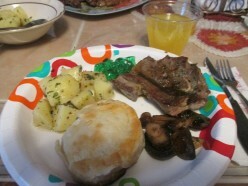 Succulent and tasty lamb chops with simple recipe for potatoes and mushrooms makes this dinner perfect for two people. Of course, you could add to it if you need to. 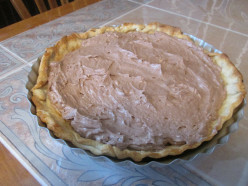 A chocolaty, creamy and so easy to make pie. How bad can that be? It's always good to have a recipe that you can make in a snap. Chocolate lovers will love this. 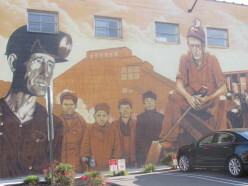 I decided to show you some of my "home town" murals and food inspirations. It's not fancy, not worldly or even very popular, but typically American. 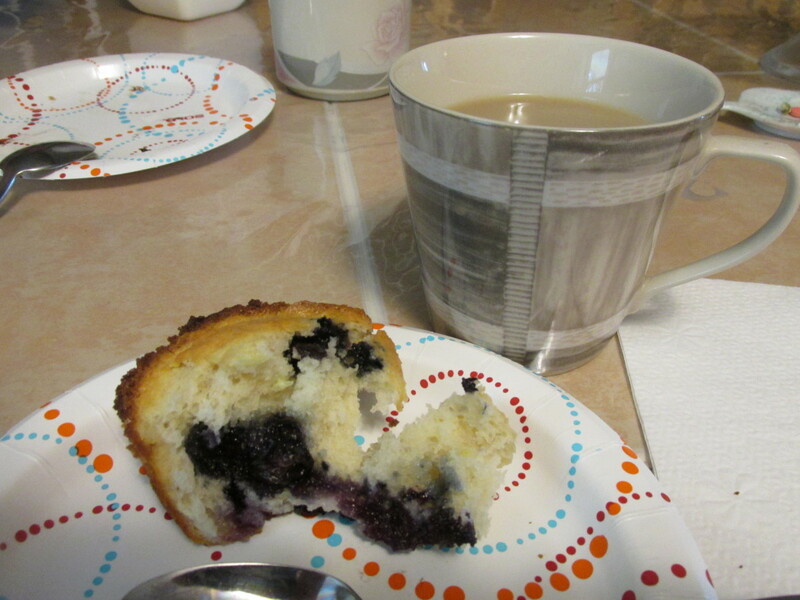 Biting into a moist muffin with juicy blueberries inside is not only for the summer time. You can make them any time of the year. Blueberries freeze well so you can have them even in the winter. 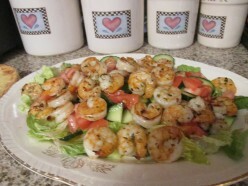 It's a quick and easy scampi and just perfect for over a salad. A nice crisp shrimp and so flavorful. 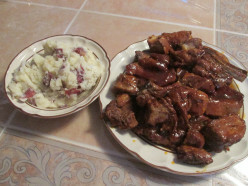 Sweet but not too sweet ribs that almost melt in your mouth and smooth and creamy smashed potatoes make a hardy dinner. You can serve a side salad if you like and a loaf of your favorite bread. Thick and hardy really describes this soup. 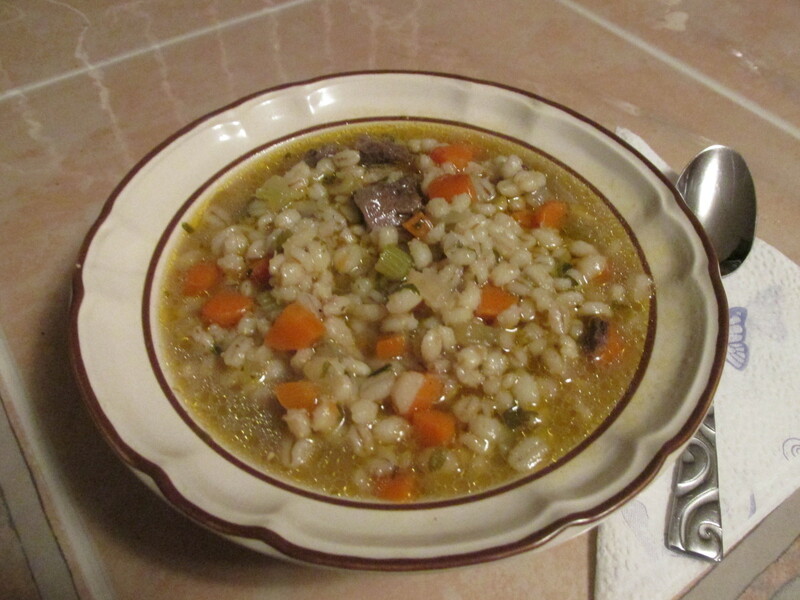 Little pieces of beef and the almost nutty flavor of the barley make this soup exceptional. 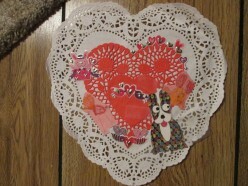 St. Valentine's Day screams "romance, chocolate, wine, candy; anything that has to do with a romantic nature. Of course, now children in schools celebrate it too. Food has a big part to play too. 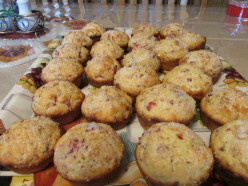 Bite into a cranberry and orange flavored muffin and your mouth and tummy will thank you. 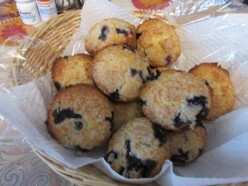 lol No kidding, these muffins sound ordinary but are really good and are great for breakfast or snack. Hot, hardy, chunky and delicious; a good combination on a freezing cold day, or any day actually. This soup has everything, beef, vegetables and your favorite noodles. 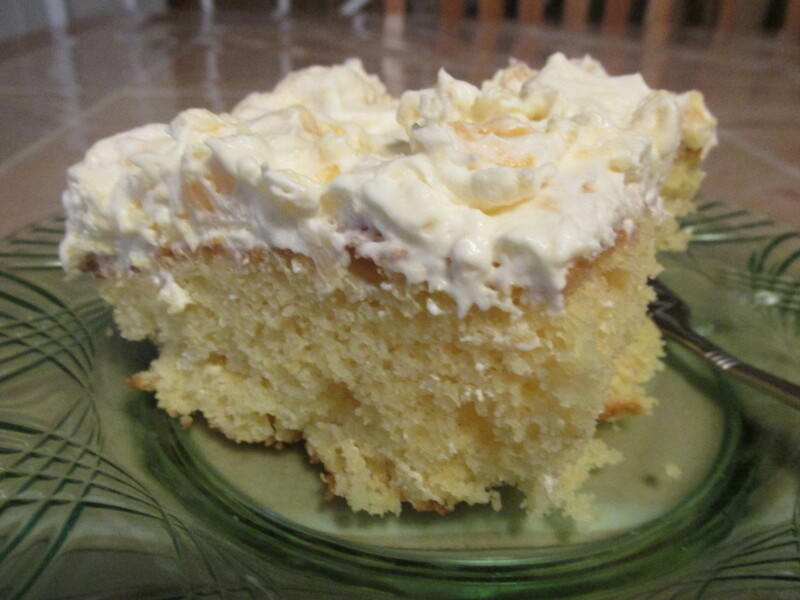 Peachy, juicy and creamy; this is a really great little cake you can make at the last minute. Great with a cup of coffee or for the kids when they come home from school. 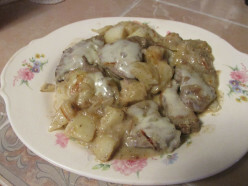 This liver recipe makes it soft and cheesy and surprisingly even my children liked it. That's saying a lot for liver. It's a good middle of the week dish. They say one picture is worth a thousand words and this one certainly is. It makes your mouth water just looking at it. 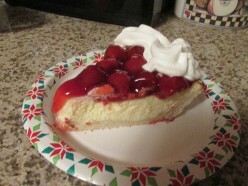 The creaminess of the cheese cake and the tartness of the cherries make this easy to make crust a hit with all bakers. 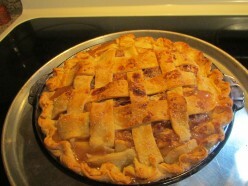 Especially if you want pastry crust but don't want to make it. A chocolaty, fudgy cookie with a twist. 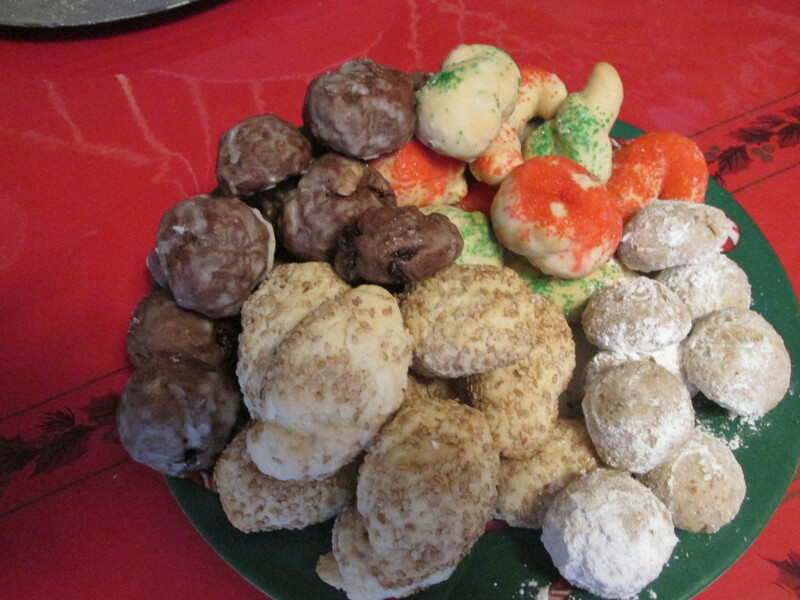 This is one more of the Italian cookie recipes handed down from my husband's side of the family. 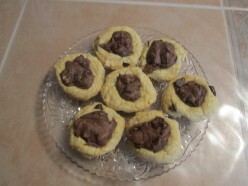 These cookies are very popular in Italian neighborhoods. Luscious, cheesy, saucy lasagna. 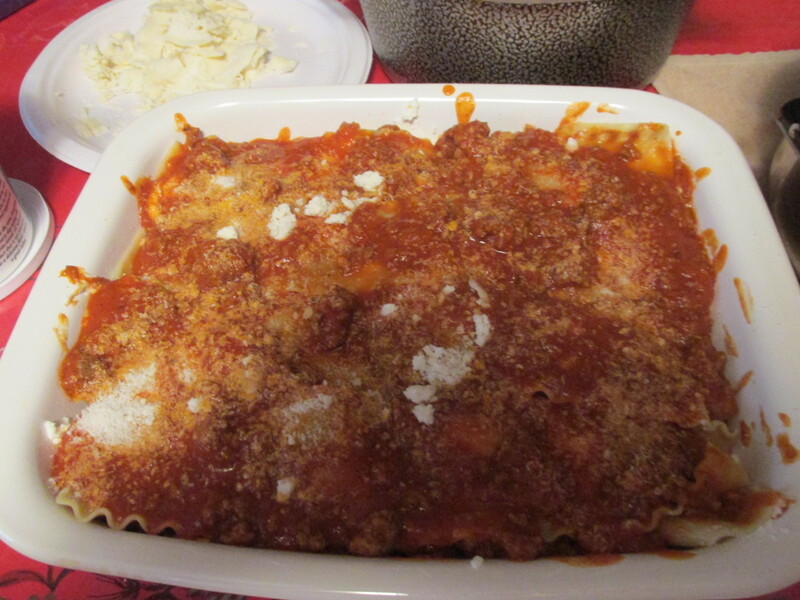 A typical Italian dish and a tradition for us on Christmas day. Melt in your mouth goodness, little bites of the ground walnuts and the sweetness of the powdered sugar; this cookie is the favorite of everybody I give them to. 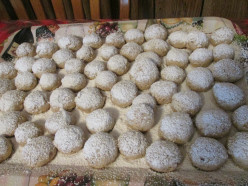 Another great Italian cookie recipe handed down from my husband's aunt to the family. 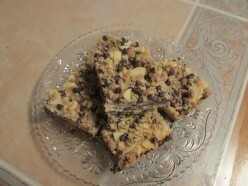 It makes a lot of cookies and they do melt in your mouth, great with a cup of coffee or hot chocolate. 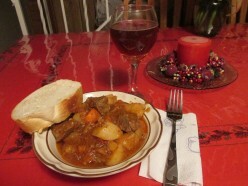 There's nothing like home made beef stew. 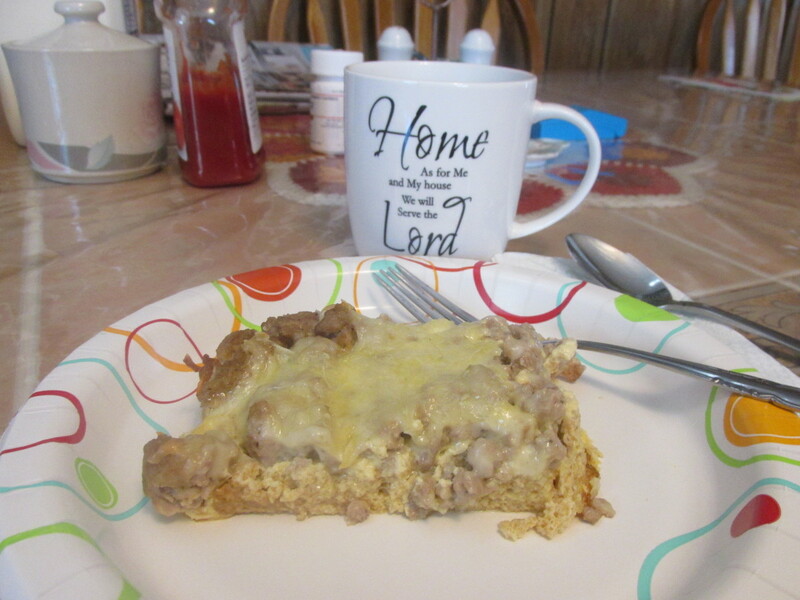 It's delicious and filling and one of those comfort foods you remember from your childhood. A bite of one of these cookies fills your mouth with sweet goodness. 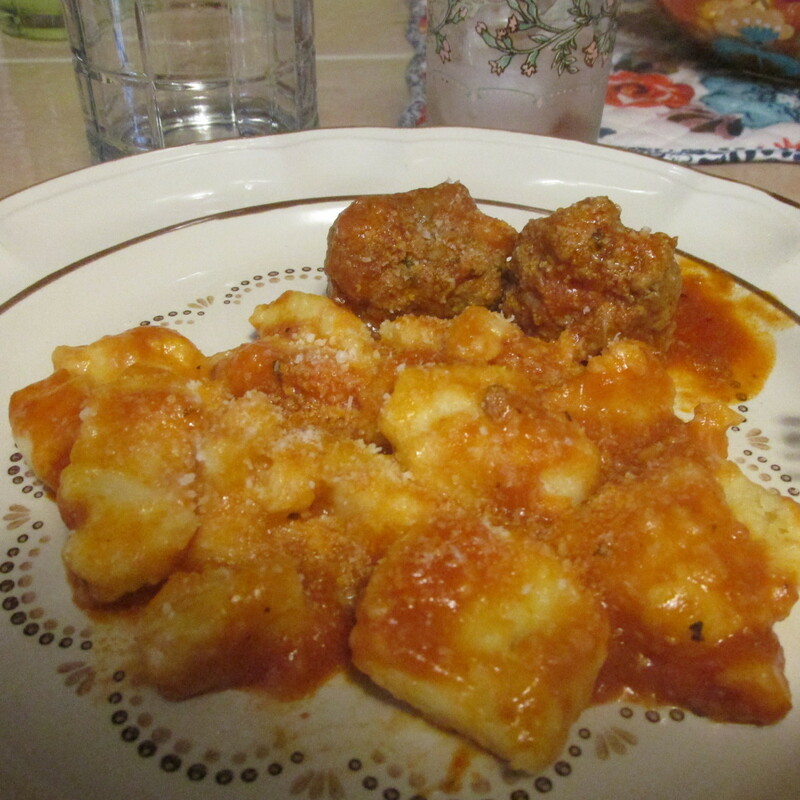 My husband's favorite, I got the recipe from his mother and aunt who got it from their mother who lived in Sicily. 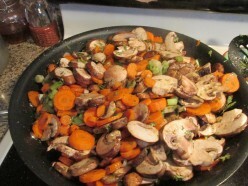 So many flavors of the carrots cooking in butter with the mushrooms and scallions and a touch of lemon juice. 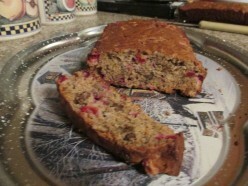 Tart and sweet and a little background taste of Amaretto in this banana bread. 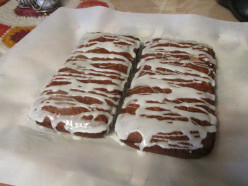 It's very moist and one more twist on the basic banana bread recipe. 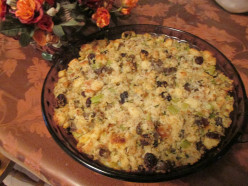 Sweet and savory, almost like a bread pudding; stuffing if an essential part of the Thanksgiving and even Christmas dinner, if you are cooking a turkey. It's my mother's recipe which we just love. 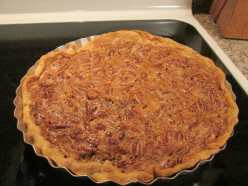 A sweet and gooey pie with pecans baked into it with a flaky crust, what can be better? 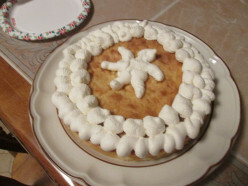 Top it with whipped cream from a can or make it yourself. 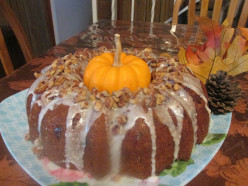 A great desert for your turkey dinner. Creamy pumpkin, luscious chocolate, crunchy walnuts and the tastes of rum and anisette; what can be more Italian? The more you eat this the more you will love it. 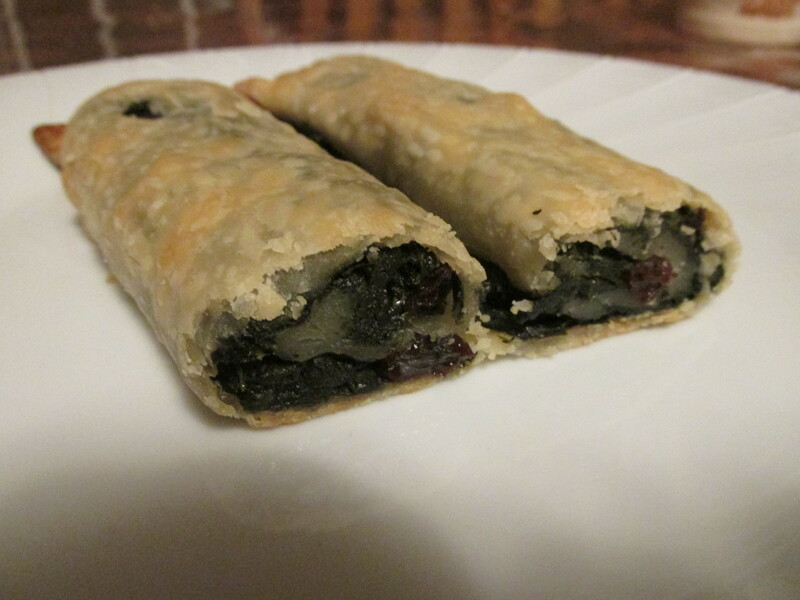 Swiss chard, raisins, pie crust; it doesn't sound like a good combination, but you wouldn't believe how delicious it is. It's just a little sweet, but still good for you. 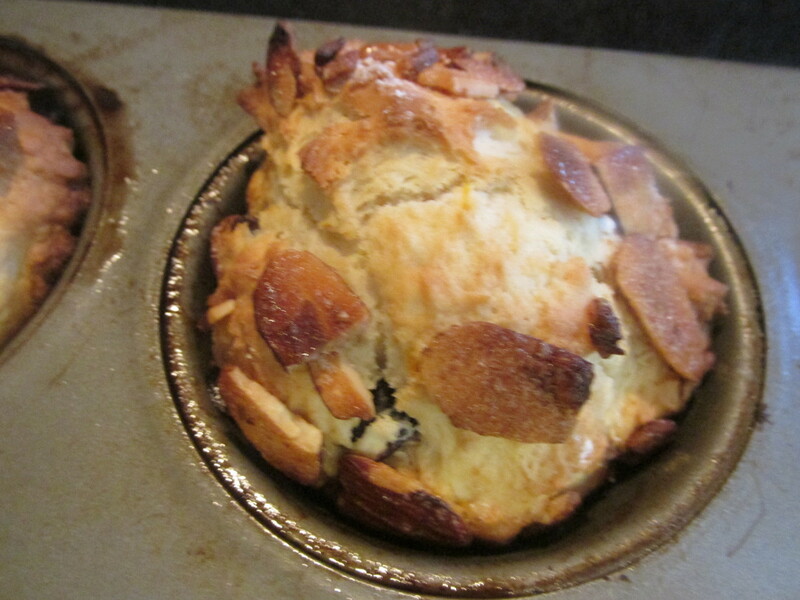 A melting of fruity goodness and cream cheese in a banana muffin is a great way to start your day. Together with a hot cup of coffee or tea or hot chocolate and you're off to a good start. 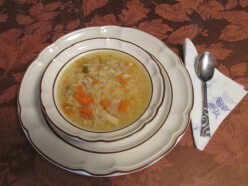 Steamy hot homemade chicken soup, who can resist it? Especially on those cold or rainy days when you family start coming home from school or work or wherever they are. Love starts here. Tuna fish with tomato sauce is one of those dishes you just have to try. It's easy to make and a really delicious meal to make when you are pressed for time. Mix it with your favorite pasta, enjoy. Tripe is chewy, much like calamari but less rubbery. 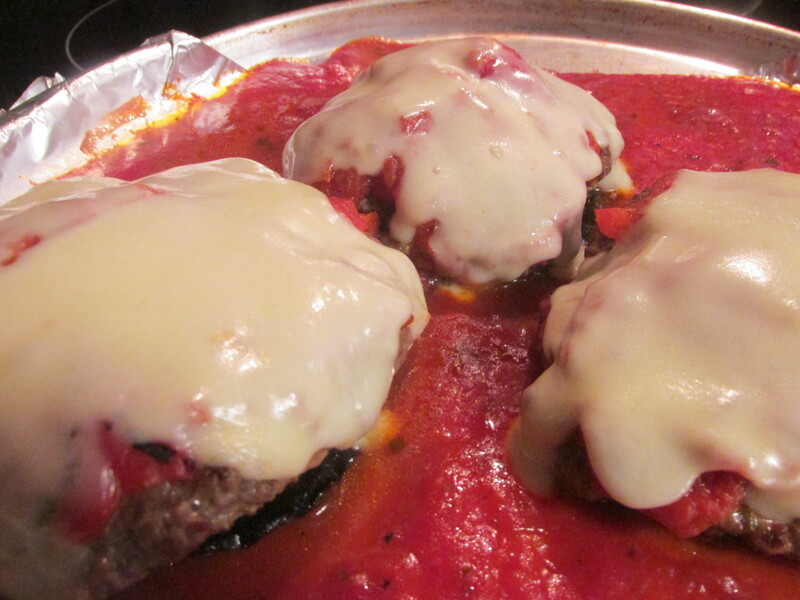 It takes on the flavor of the sauce it is cooked in and adds to the flavor of the sauce. 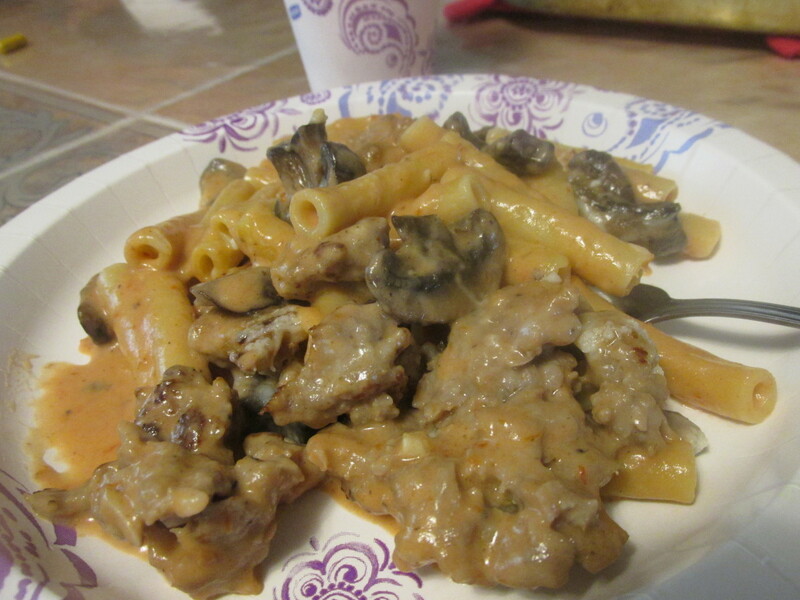 It's one of those Italian dishes you just have to try. 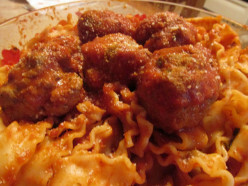 Thick tomato sauce, delicious meatballs & the pasta of your choice, make this the perfect "comfort food Italian style". Not too spicy, not too sweet, just a perfect dinner for your precious family. Sweet, syrup, cinnamon and simply delicious. The aroma in your house while this is baking is amazing and makes the perfect dessert for your family. They will love you for it. 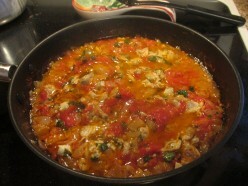 Fresh tomatoes and chunks of clams; what could be better in a sauce. There are other ingredients of course, but I made this recipe simple and sometimes simple is better. It's also healthy. 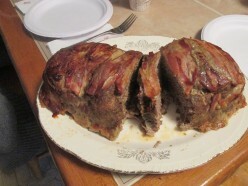 The bacon gives it a nice crust & juices from the bacon cooks down into the meatloaf giving it a great flavor & leaves it full of juice. Leftovers are great for sandwiches, hot or cold. Chewy, chocolaty, a little crunchy and very delicious. This recipe takes a little time, not much but well worth it. I think the oatmeal in it even makes it healthy. I added almonds to the top crust. This pie is Heavenly because it's so cool and chocolaty and decadent. 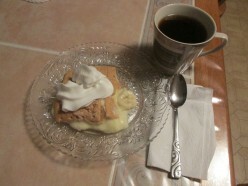 It fills your mouth with 2 tastes of cream, sweet and flavorful. It's easy and quick to make. My family loved it. Sometimes your hungry for spaghetti and meatballs but don't have time to make it. This is a quick and easy way to satisfy that taste and anyone can make it. Your family will love it. This is my husband's favorite meal. He loves it even more then lobster tail, which is saying a lot. 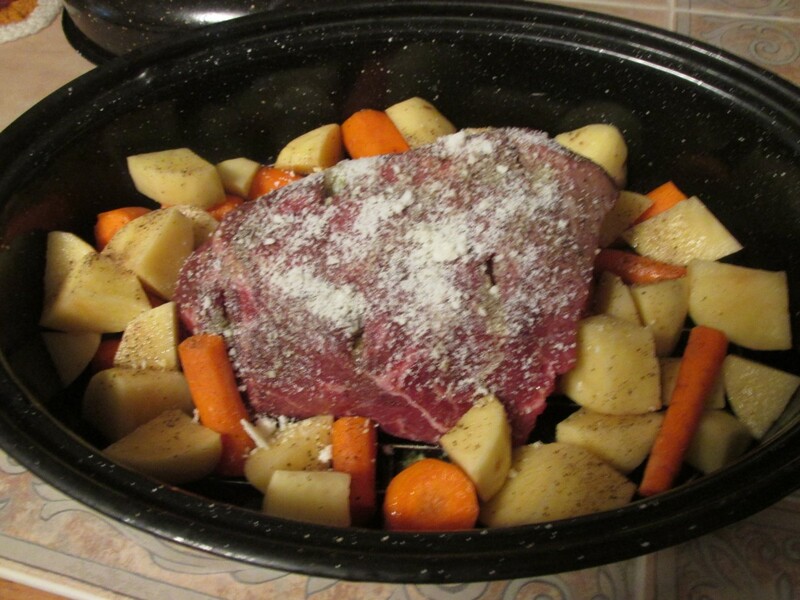 I always use a rump roast, it comes out so tender and the potatoes and carrots done all at once. Egg with a Hole in it or Egg in a Nest? 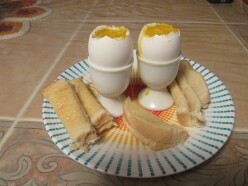 These breakfasts reminds me of my mother. She made these for me and my siblings often. Eggs were considered healthy then. The 'egg with a hole in it' was served in a shot glass. 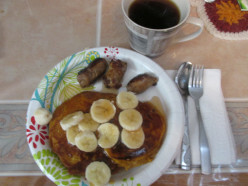 Comfort breakfasts!